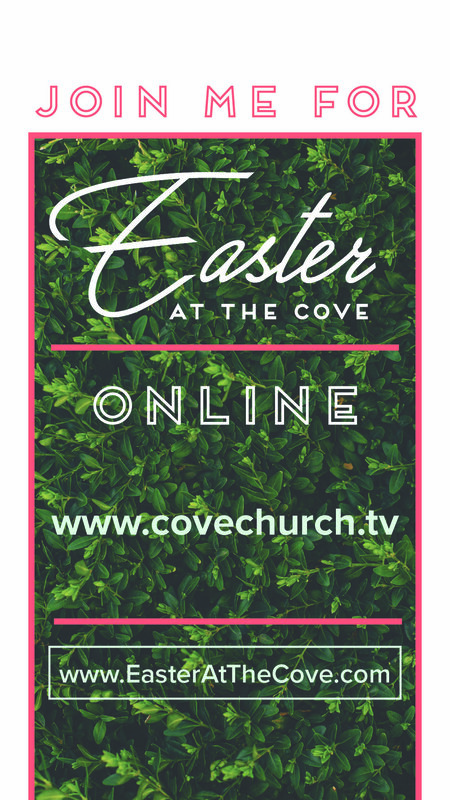 If you are traveling during Easter or if you are part of our larger global community, we invite you to watch our Easter services at www.covechurch.tv. The Cove’s Online Campus is a great community made up of people from all over the world. Our Easter services will be broadcast live from our Mooresville Campus and available on demand the following week. While you’re watching online, feel free to use our online chat room to ask any questions you may have or interact with other attenders during the service. 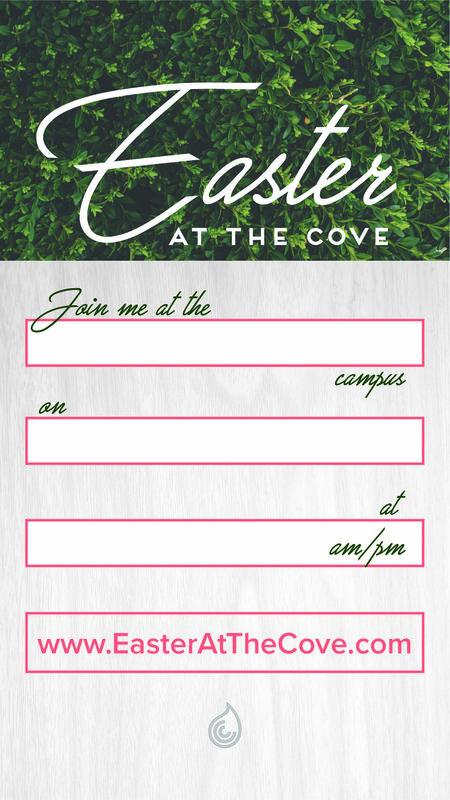 We can’t wait to meet you!